Rijeka is the third biggest town in Croatia and the biggest port which was already in the 19th century one of the biggest central European ports thanks to its favourable position. Rijeka has about 129 000 inhabitants. 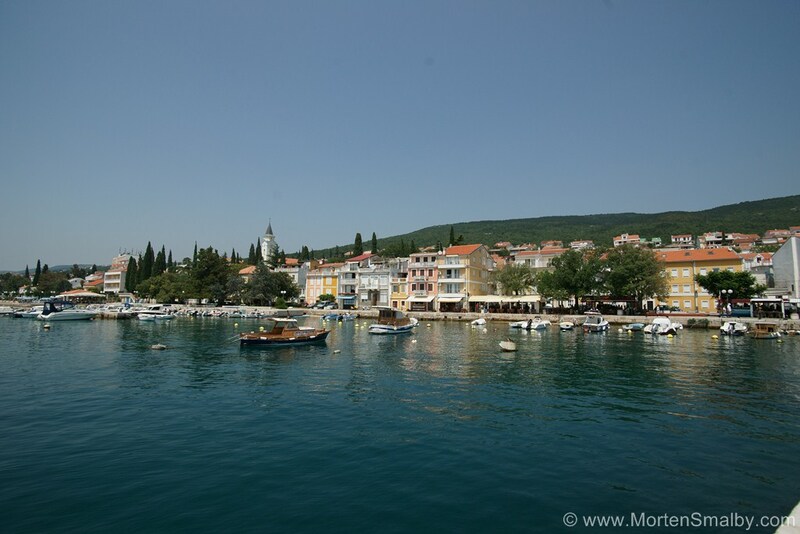 It is situated in a bay in western Croatia, in the region of Kvarner. In the surroundings of Rijeka traces from the Palaeolithic and Neolithic Age are found but the place where today stands the old town of Rijeka was inhabited in the Roman period; from this period there are many archaeological discoveries like the foundations of Roman walls, the walls of buildings, the remains of Roman thermae and gates. 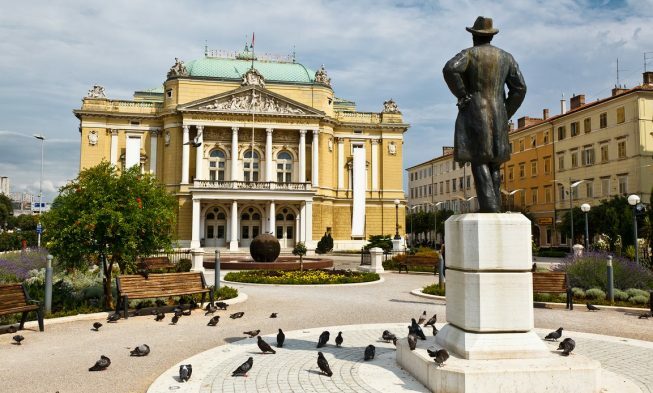 Rijeka is an important town regarding the connection with the rest of the country; it is the main connection point of the roads from Zagreb, Istria, south Croatia and even Slovenia. Rijeka also has its airport which is actually situated on the island of Krk. As the main port, Rijeka is by ferry connected with Croatian islands and the port of Bari in Italy. By rail it is connected with Ljubljana and Trieste. Due to the position of Rijeka, its beaches are situated at the eastern and western ends of the town. All the beaches can be reached by bus and there is a parking at almost all the beaches. Ploce beach is a Blue Flag pebbly beach. At the beach one can find equipment for water basketball, catering facilities, changing rooms, showers, sanitary facilities, rescue service, volleyball playground and a swimming pool complex. Kostanj beach is also a Blue Flag beach primarily intended for the disabled. Expert lifeguards take care of the swimmers, the facilities are adapted to the disabled (sanitary facilities, changing rooms, access to the sea) and there is equipment for water basketball. Glavanovo beach is a pebbly beach ideal for families with children because the sea is shallow and there is natural shadow above the beach. Skalete beach is preferred by the young population and the lovers of sport. There is a water polo area, showers and sanitary facilities. Other beaches in Rijeka are Bivio, Grcevo, Preluk, Sablicevo ecc and Rijeka also has two dog beaches, Brajdica and Kantrida. As one of the biggest Croatian towns, Rijeka has all types of accommodation. There are several hotels in Rijeka and among the best is the Best Western Hotel Jadran, a four star hotel. The hotel has 66 modern single and double rooms, 3 luxury suites; most of them have sea view. In the hotel there is also a restaurant, two congress halls, a parking and its own beach. Regarding private accommodation, Rijeka has plenty of apartments and rooms in private houses to choose from. In Rijeka you will not find any camping option but there is one on the way between Rijeka and Opatija, Preluk Autocamp. The campsite is situated by the sea in a protected bay, it has several smaller pebbly beaches and the main beach. Camping Preluk can accommodate 500 guests on 100 lots, all equipped with electricity hook-ups. Sanitary facilities have been recently renovated and in the camp guests have a restaurant a bakery and wireless Internet access. Rijeka has recently got a first boat hotel in Croatia, Botel Marina, which is actually according to the official categorization, a hostel. In total, there are 112 beds in the botel in 35 cabins. The botel also has a reception desk and a lobby bar as well as an area above the reception desk for hanging out and watching TV and coffe&wine bar. Soon there will be a fitness centre and a restaurant. Summer Nights in Rijeka take place in June and July and include classical music concerts, play performances and street theatre performances. Summer on Gradina takes place from June till September and includes also theatrical performances and concerts. Hartera Festival has become one of the most popular festivals in Croatia. It takes place in July and various international and national artists perform here. Malik Fest is held in July and it represents the myths and legends of Istria and Kvarner through theatrical performances, stories, exhibitions, games, workshops ecc. The festival also deals with topics about the relationship between man and nature. If you want to go sightseeing you should visit the very centre of Rijeka; the symbol of the town – City Clock Tower, an archaeological park, the old city gateway, St Vitus cathedral, the famous Leaning Tower… You can also visit the Astronomical Centre in Rijeka. Rijeka is particular for its carnival which lasts for a month, from January to February. The tradition of carnival in Rijeka dates back to 1500 so if you happen to be in Rijeka at that time of the year, this is definitely the event to join. For those interested in museums, there is the PEEK+POKE Museum of Childhood, the Museum of Informatics and Technology and the Natural History Museum. Trsat is part of the town located on a hill above Rijeka and it is ideal for taking walks and sightseeing; the Trsat Castle is particularly interesting. Rijeka has an ideal geographical position which means that it is easy to reach all parts of Croatia. Day trips from Rijeka can be organized on your own or as a part of an agency offer. As Rijeka is part of Kvarner you can visit other places in the region like, Opatija, Senj, Novi Vinodolski, Crikvenica or the islands of Krk, Rab and Cres. Since Istria is very close, it is possible to visit some of the famous Istrian cities like Rovinj, Pula, Porec ecc or simply take a one day tour of Istria. For nature lovers, there is the National Park Risnjak in the vicinity of Rijeka; it is also possible to visit the National Park Brijuni, Plitvice Lakes which is the most famous national park in Croatia, the National Park Northern Velebit and the Nature Park Ucka. In Rijeka you will find plenty of restaurants of all types: from those offering traditional Croatian dishes to international restaurants (Chinese, Italian, Mexican). Some of the traditional dishes of this region are codfish stew, cuttlefish risotto, tuna tartare… In Rijeka taverns you can enjoy a cosy, relaxed atmosphere and try some of the authentic dishes at lower prices. Besides restaurants and taverns there are also numerous pizza places and fast food restaurants but if you wish to cook on your own you can visit the market of Rijeka where you can buy fresh, locally produced fruit and vegetable. Rijeka organizes the RI Gastro days the main goal of which is to preserve the tradition of the Mediterranean Diet. During these days the chefs of many restaurants in Rijeka prepare dishes at promotional prices with typical ingredients of the area. Rijeka has four commercial centres, therefore you can find anything you need for your holiday in Rijeka and the surroundings. These four centres are Ri, the Tower Centre Rijeka, the Western Commercial Centre (ZTC) and Korzo. Here you will find shops of different kinds including numerous restaurants and bars. Many shops can also be found in the centre of Rijeka; here you will also find souvenir shops. 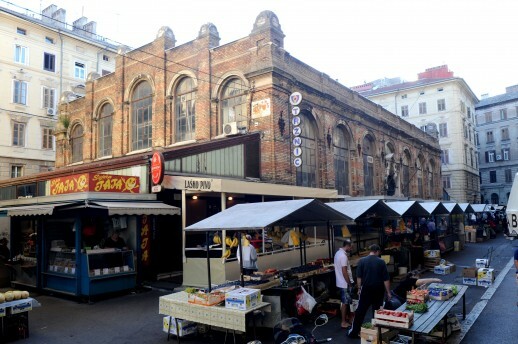 As already mentioned, for fresh groceries visit the market of Rijeka and feel the authentic spirit of the local people. Besides many bars, clubs and beach bars which are characteristic hangout places for Rijeka and other cities in Croatia, Rijeka is among the richest towns in Croatia regarding festivals and events all year round. Rijeka is most famous for the rock music. The oldest rock club in Rijeka and the second oldest in Croatia is Palach, located in the centre of the town. There is also the RI Rock festival taking place in Rijeka in December. In July you can join the alternative music Hartera Festival with different local and foreign artists performing at the festival. All in all, Rijeka is a town where everyone will find their kind of entertainment. As mentioned above, Rijeka is easily accessible by all means of transport. Whether you arrive from Italy, Slovenia or some other part of Croatia Rijeka can be reached via the highway or the coastal road. Rijeka is also very well connected by bus lines from other Croatian cities and some European cities as well. If you arrive by plane you will land on the island of Krk where the airport of Rijeka is located.